is the largest online platform in the Netherlands that is specifically focused on bringing together the supply and demand of housing; such as rooms, studios and apartments. Tenants and landlords can get in touch and roommates can meet a new roommate. Kamernet does not own these homes. Registered users have direct contact with each other. Hundreds of new rooms, studios and apartments are placed on Kamernet on a weekly basis. Register for free to see the new listings. You can easily adjust filters while you are searching so that you will only see the available homes that suit your needs. By saving your search, you will be kept up to date of the newest listings. 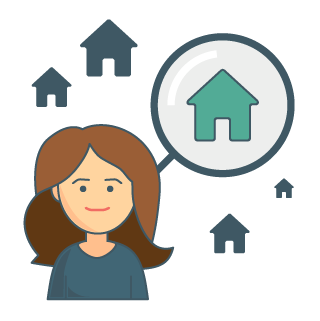 We advise you to completely fill in your public profile, so that you can be found by landlords and roommates. The rooms, studios and apartments are not owned by Kamernet. If you want to arrange a viewing you will need to get in touch with the landlords or roommates by responding to the advertisement. 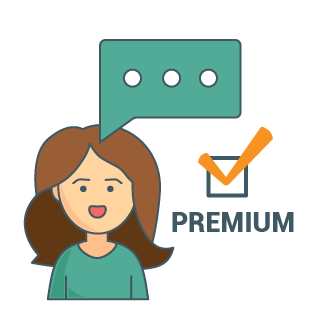 You need a Premium Account to be able to respond. With this you can respond unlimitedly to all advertisements. 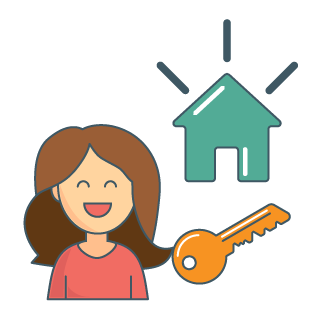 With positive contact you can arrange viewings and get further acquainted with the landlord or potential new roommates. When you are invited by a roommate it can happen that several other potential tenants are invited as well. During this “hospiteeravond” the roommates can get to know you better and see whether there is a click. They will then decide after discussing it with each other, who will be their new roommate.